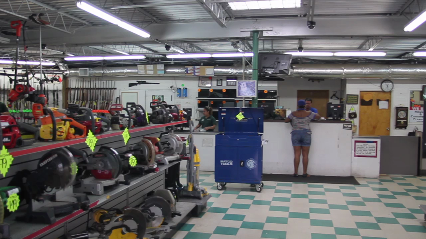 Trader Jim's Pawn Shop has been providing quality and reliable pawn services for over 34 years. We are the professionals in the business and can get you the cash you need. Our professionals offer a unique shopping experience to each customer we serve. We pride ourselves on providing great prices for any items of your interest, and instant loans. If you're looking for a gift, but short on the cash needed to purchase, look no further. Our professionals can offer you a reasonable exchange on anything you already own. Trader Jim's Pawn Shop can provide you with the necessary loans to show that special someone how much you care. Having trouble deciding what the perfect gift would be? Let our professionals walk you through our large inventory. From engagement rings to pocket watches and televisions to tools, chances are that we’ll have something that will make you happy. Need To Pawn? Call Now! Copyright © 2018 numberonepawnshop.com All rights reserved.